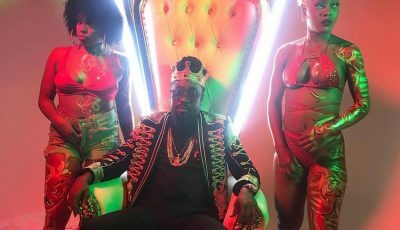 Since dropping the single on Friday on iTunes, Nicki Minaj has been getting a lot of attention that propelled the track to the top ten on iTunes. But Nicki is also getting some negative attention from some fans who are saying that OVO singer PARTNEXTDOOR ghostwrites the song. 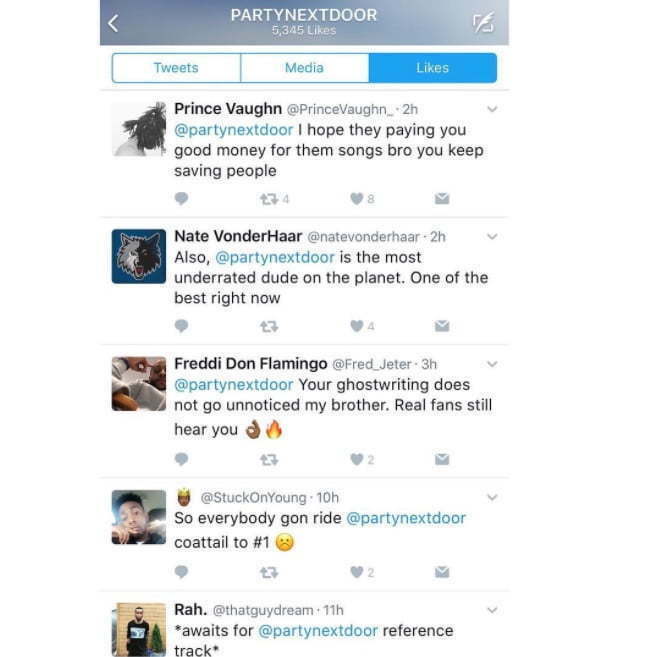 PND added fuel to the rumors when he liked a post from a fan on Twitter who was suggesting that he wrote the track. That move infuriated Nicki Minaj who couldn’t resist responding. 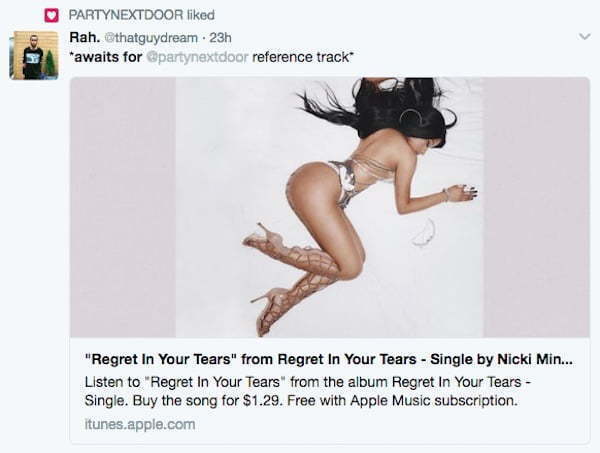 Not only did she denied the allegations, but also called out PARTYNEXTDOOR for even hinting or agreeing with a fan that he ghostwrite the song “Regret In Your Tears.” But let’s be honest, in any of the posts that PND liked didn’t suggest that his fans were talking about “Regret In Your Tears.” But nevertheless, that was the most talked about song on Twitter. I don't even know what time it is out there. ? it's #7amInPARIS ? Not sure why he was "liking" tweets. Maybe it was just "funny" to him. Maybe he was…"hacked". Lol. Either way. ?????? – #DisTewMuch FOH ?